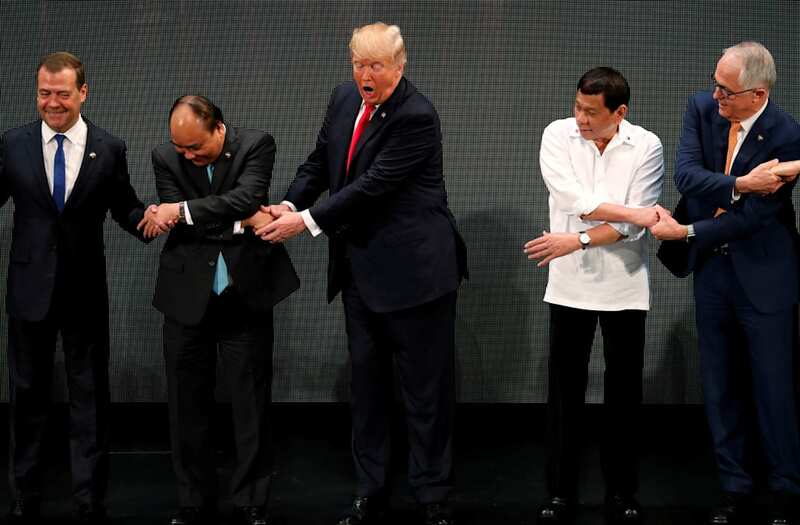 He twisted his right arm over the left, and his left over the right to shake hands with Philippine President Rodrigo Duterte and Vietnamese President Tran Dai Quang. “Give us your brightest smile,” an emcee told the politicians during the opening ceremony of the Association for Southeast Asian Nations conference. He flubbed the first attempt at the kitschy ritual to kick off the annual meetup and then laughed.